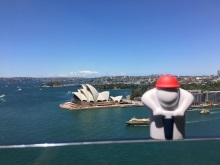 Due to the popularity of our annual calendar, we are inviting all our Users to help ensure that Larry continues to travel the world and his adventures are captured for us all to enjoy! 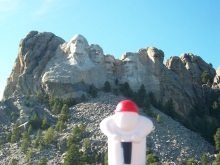 Please take Larry with you on holiday this year and take a photo with him showing the landscapes and features of your destination, whether this be the ski slopes or the Grand Canyon. The winning entries will be used for the calendar and will receive a £25 high street gift voucher, they may also be used in other areas, such as the website and social media so we look forward to seeing your creative talents! Please see the photos below taken from our previous winners for inspiration. Closing Date - 15th November 2019 (any entries received after this date will be entered into the 2020 competition. We look forward to all of your entries and we thank you in advance for participating.